No matter what make or model garage door you have, our team at Action Garage Door can help you resolve a problem, fix an broken opener or recommend new installation. For more than 20 years, our team has been providing reliable and affordable garage door repair in Little Elm. We can service both residential and commercial spaces, guaranteeing 100 percent customer satisfaction on every job. Alf was at my home about 35 minutes after my initial call. Very prompt service! He was very educational about my garage door and his recommendations. Smooth process from beginning to end. Highly recommend this company and Alf!! I am very satisfied with Brian , he is the guy who came out and fixed our door. He was very polite, professional , looked like he knew what he was doing . That is a good thing . I had a guy come out earlier(different company) and he tried to scam me樂 & over charge me 3 times more than what I pd "Action". I knew the guy wasnt right, thats why I called "Action " and very Happy that I did. I will recommend ya'll from now on . I Thank Ya'll for having honest people working for ya, there are still good people and companies out there.  You have another satisfied customer. Action was the third company I called when the chain broke on my garage door. The first company I called wasn't open before 8am, the 2nd company had me on hold for several minutes. When I called Action, there was no hold time and the technician was on site WITHIN 30 MINUTES. 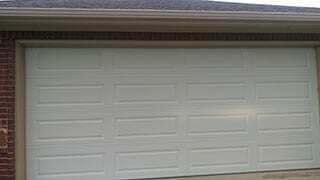 A damaged or malfunctioning garage door can create an eyesore on your home or business. Additionally, it can attract thieves looking for an easy way to get into your space. Even a seemingly small issue, such as a loose panel, can provide entry for burglars or unwelcome rodents. Fortunately, our staff offers emergency garage door repair around the clock. We can ensure that your space is protected from robbery and inclement Little Elm weather. Within one hour of calling us, one of our highly trained specialists can be at your home or business to diagnose an issue and make a repair. We utilize only the best products and workmanship to ensure that our projects are completed and will withstand the elements. Lastly, we ensure that any project we do meets Little Elm building codes. 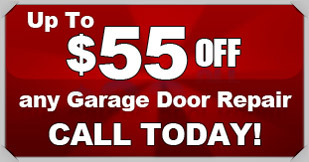 At Action Garage Door, our goal is to provide you with the best garage door repair possible. We will give you a free in-house estimate in writing with the intention of making the fix or installation immediately. In the event that we cannot, your quote will be good for 30 days. To learn more about our services or to request a quote today, please contact our team.